I planted two volunteers that I found when weeding this bed earlier, but since then a few more have germinated and started to grow (you can see those -- they're the smaller ones). I'll need to remove those -- some will be transplanted but others will need to be sacrificed. They say that castor beans don't transplant well, but I've not had trouble with them in that regard. In my experience they're sort of a slow plant to get going even when grown from seed in place, and I expect they need a hot summer to really get big. 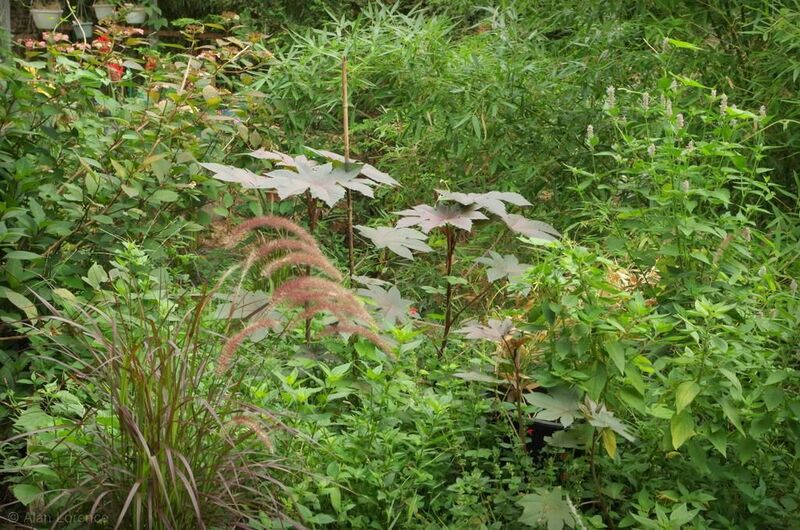 I really love how your garden art is mimicking your castor beans! Very cool shot! Is this the plant that everyone warns is so toxic? Lisa: it's only toxic if you eat it. ;) There are lots of plants that fall into this category. Anna: Is your next garden coming soon? 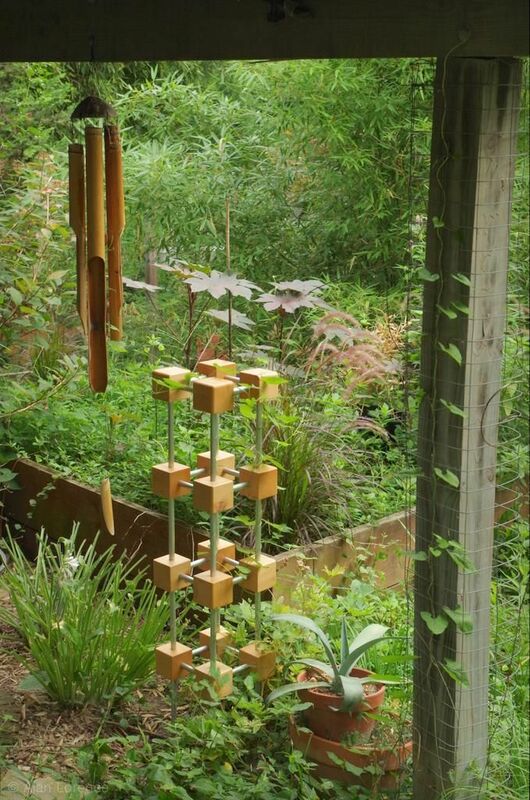 Excellent framing photo of the Ricinus, your sculpture, wind chime, etc. Well done! 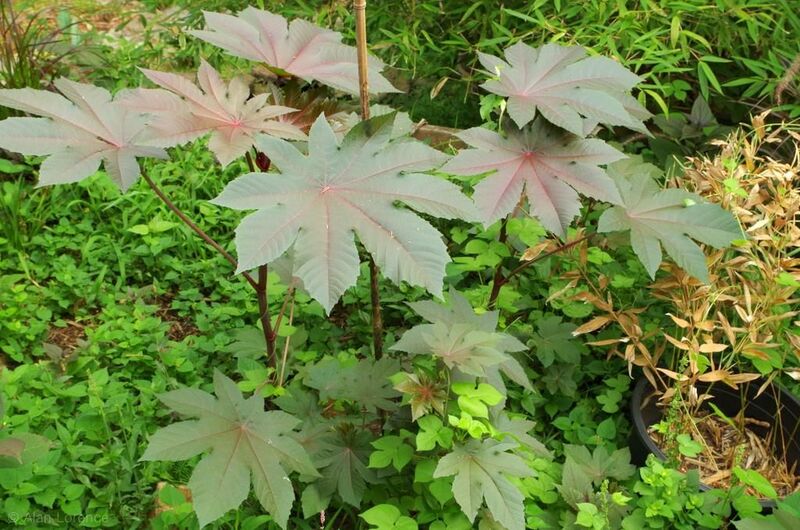 I just pulled a few Ricinus at the side of the road. Here they are classified as invasive because of lavish reseeding and crowding out of native species. A much better behaved plant in your climate. 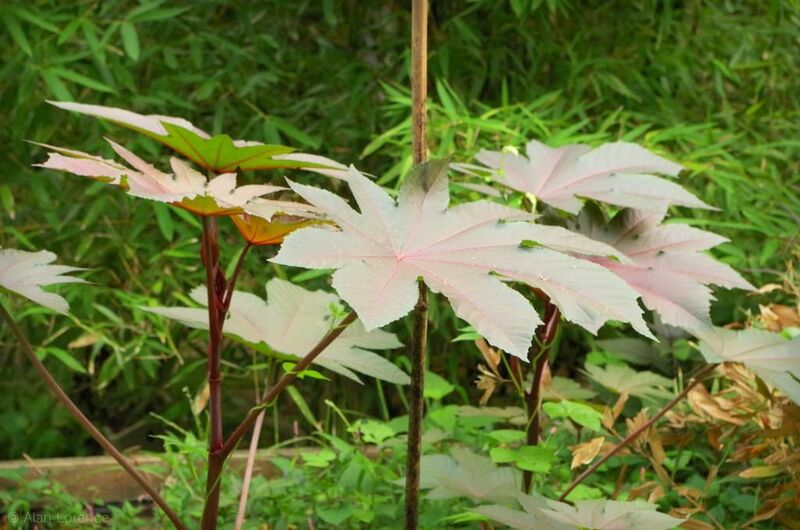 Such a beautiful plant, especially in your jungle. I used to grow it when there was more sun here but alas, someone keeps planting things that make shade.